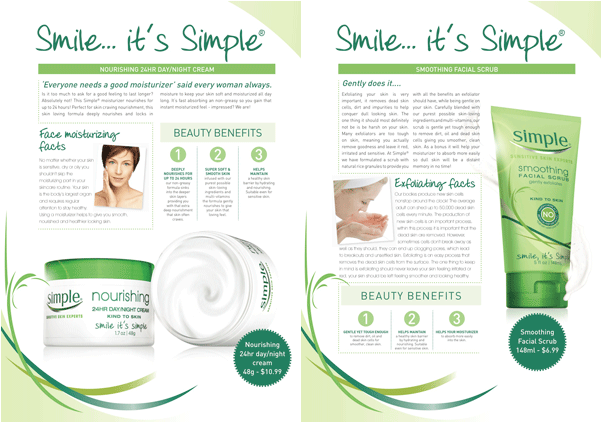 Simple, the sensitive skincare experts approached Splashdown to create a series of new product information releases to support the PR team. We designed the 2 page releases to have an editorial feel with strong product imagery and easy to navigate text sections. It made simple sense to the marketing teams who extended the brief to both the UK and US markets.